Distracted driving is a recognized hazard of the roadway, yet we can’t seem to put down our electronic devices when we are behind the wheel. Why? Besides being mobile phone addicts, we think we are good at multitasking, when in fact, we’re not. The human brain is limited by what is called a cognitive load—meaning it can’t fully concentrate on two tasks at the same time. Distracted driving expert and University of Utah psychology professor David Strayer’s research shows that it takes up to 27 seconds to regain full attention to driving after issuing verbal commands to your car or a smart phone device. 220 million people in the United States subscribe to wireless services. With as many as 80 percent of those subscribers using their phones while driving and nine deaths every day caused by distracted driving, the dangers are clear. We all want “safe” roads. Nonetheless, increasing roadway safety by decreasing distracted driving has been an uphill battle. States are more and more proactive at addressing the issue with legislation, but it wasn’t long ago that concerned citizens and policy makers were at odds over regulating the use of cell phones in vehicles. Florida was the first state to enact legal restrictions on cell phone use while driving in 1992. A policy-making drought followed until 2001 when New York became the first state to ban holding a cell phone while driving. From 1999 to 2001, 41 states introduced similar bans, but none succeeded. 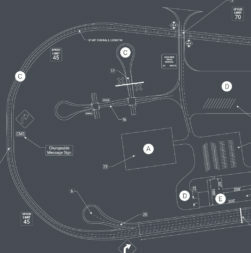 Passing regulations regarding the use of mobile devices while behind the wheel was proving to be a difficult endeavor. It took five years for hands-free legislation to pass in California, finally prevailing in 2006. A handful of other states enacted laws making it illegal for bus drivers and novice drivers to use a mobile device while driving, but lawmakers faced substantial opposition against passing new rules. The battle over cell phone-limiting legislation occurred on multiple fronts. Lobbyists from several phone network providers leveraged their resources to halt bans and restrictions. Others were concerned about protecting individual liberties, arguing that distracted driving has many sources, such as eating or adjusting the radio. A lack of long-term data further complicated things. 20 years ago, few police departments had accident reports where officers could document if the cause of an incident was related to using an electronic device. Instead, the insurance industry often relied on self-reporting to track and measure cell phone-related accidents. And customers might not be incentivized to be honest if it meant their insurance rates would rise. 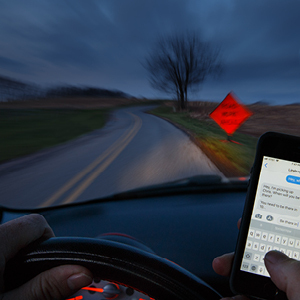 Despite skeptics, the research showing the dangers of distracted driving was compelling. In 2010, OSHA’s assistant secretary of labor, Dr. David Michaels, called on employers to ban texting while driving, citing, “Companies are in violation of the Occupational Safety and Health Act if, by policy or practice, they require texting while driving, or create incentives that encourage or condone it, or they structure work so that texting is a practical necessity for workers to carry out their jobs.” The debate came to a head in 2010 when then-transportation secretary, Ray LaHood, launched a national campaign against distracted driving. 15 states, DC, Puerto Rico, Guam, and the U.S. Virgin Islands banned the use of hand-held devices while driving. 38 states and DC prohibit all cell phone use for novice drivers, and 20 have made it illegal for school bus drivers. 47 states, DC, Puerto Rico, Guam, and the U.S. Virgin Islands banned text messaging for all drivers. Despite these efforts, distracted driving incidents are on the rise. It’s everyone’s responsibility to change their harmful driving habits. 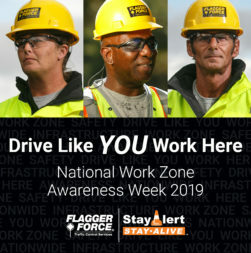 The concept of personal responsibility is the theme for 2018’s National Work Zone Awareness Week, an annual spring campaign held at the start of construction season to encourage safe driving through work zones. Let’s liberate the mind and actively avoid using the phone while driving. Distracted driving is a recognized hazard of the roadway, yet we can’t seem to put down our electronic devices when we are behind the wheel. Why? Besides being mobile phone addicts, we think we are good at multitasking, when in fact, we’re not.